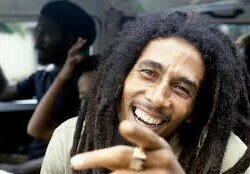 All is set for the 35th Bob Marley memorial concert scheduled for tomorrow at Bongwe in Lusaka’s Roma Township. This theme is in light of the recent attacks on foreigners that were witnessed in some parts of Lusaka. The confirmed bands include Vibes with Peter Bob, the ‘Reggae Sounds Incorporated (RSI) which include Bongo Far-I, C-Rib, Tikuza, House of Lions, Papa Meeky and Tony Tafari. Others are Ras Naphtali, Ras Kalulu, Ras Mule and all the bands under the Mellow Moods. Cactus Agony and Milz the Teacher will also spice the show with their raga dancehall mix in a show that usually brings reggae lovers under one roof. Shakarongo said there will also be surprise performances that will include Nasty D and his children. This year’s event attracts a K50 gate fee plus what is commonly referred to as ‘good behaviour’. The show starts at 18 hours till late and is poised to give the best of reggae music inspired by the late great Bob Marley himself.